I walked into the end of the week thinking it would be rough, and while I wasn’t wrong, I was surprised. Surprised by how everyone handled things in my family. Surprised by the fact that our lives could have been quite sorrowful and down the whole weekend with the kids having their grandmother be the next in a long line of people who passed away. Surprised by the fact that after all this, after the funeral, after the reception and all that . . . they responded with laughter. “Not that way, Dad!” my daughter said emphatically. The kids looked at me skeptically. They all seemed to agree that made some sort of sense. My kids were all the right balance of melancholy and calm which for this weekend was a good thing. They laughed a ton. So as a way to give them some normalcy we went to the movies . 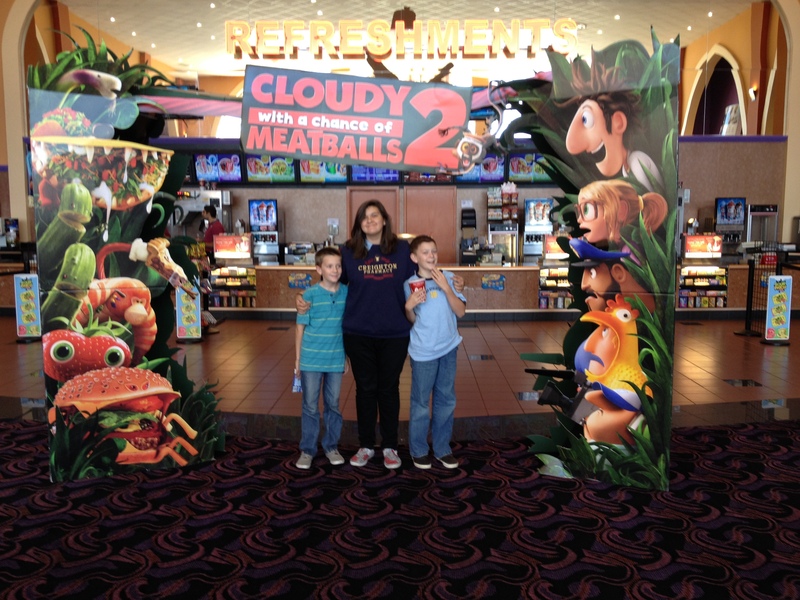 . . a sequel to Cloudy with a Chance of Meatballs . . . and we laughed at every food pun. No, they weren’t brilliant, and no, it wasn’t Ben Hur . . . but you know what? For this weekend, it’s what we needed. So what if “there’s a leek in the boat!” showed up 4 times in the movie? You know what? We laughed every single time. And in the end, laughter, food puns, and remembering the people who shaped our world . . . that’s worth the price of admission.